Hours: Tuesday through Sunday, 1 to 5 p.m. The Earle-Wightman House features its 18th and 19th century period rooms, along with a newly opened shop dedicated to local arts and crafts, and a soon-to-open permanent exhibition on the history of the house itself. The Koenig Center, built in 2011, boasts an exhibition gallery, lecture and workshop facilities, library and archives, events kitchen, and staff offices. Currently the Oyster Bay Railroad Museum is housed in the Preview Center, located at 102 Audrey Avenue in downtown Oyster Bay. This interim facility contains selected displays from the OBRM's growing collection, exhibits outlining our ambitious plans for the Oyster Bay Railroad Museum of the future, and a gift shop containing an ever-changing selection of rail-themed merchandise for that special rail buff in your life. Prior to the completion of the Museum, the Center also offers general Oyster Bay visitor specific services at an ideally located, safe and uncongested site. The Roosevelt Museum at Old Orchard is open Wed-Sun, 10am - 5pm The Park grounds are open every day from sunrise to sunset. Guided tours of Theodore Roosevelt's Home have concluded until the rehabilitation project is complete. Areas to remain open to the public during construction include the visitor center and museum store, the Theodore Roosevelt Museum at Old Orchard, and the site outbuildings and grounds. 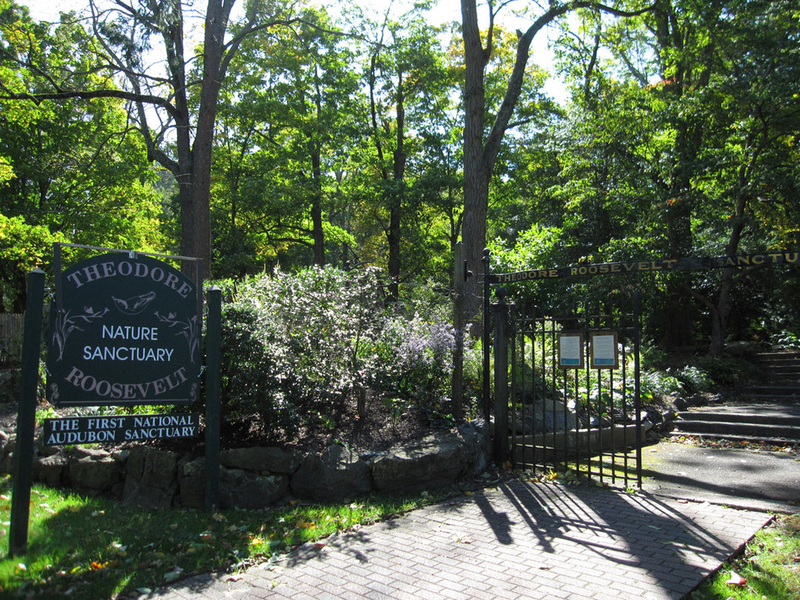 Theodore Roosevelt Sanctuary & Audubon Center, located in Oyster Bay, was established in 1923 as the first Audubon Songbird Sanctuary in the nation. Twelve acres were donated by W. Emlen and Christine Roosevelt in memory of their cousin, the late Theodore Roosevelt, the 26th President of the United States. The Sanctuary's original purpose was to provide a protected environment for songbirds whose populations were declining due to habitat loss. Today, it is a vibrant resource offering a wide variety of activities, including environmental education, wildlife research, and conservation advocacy.